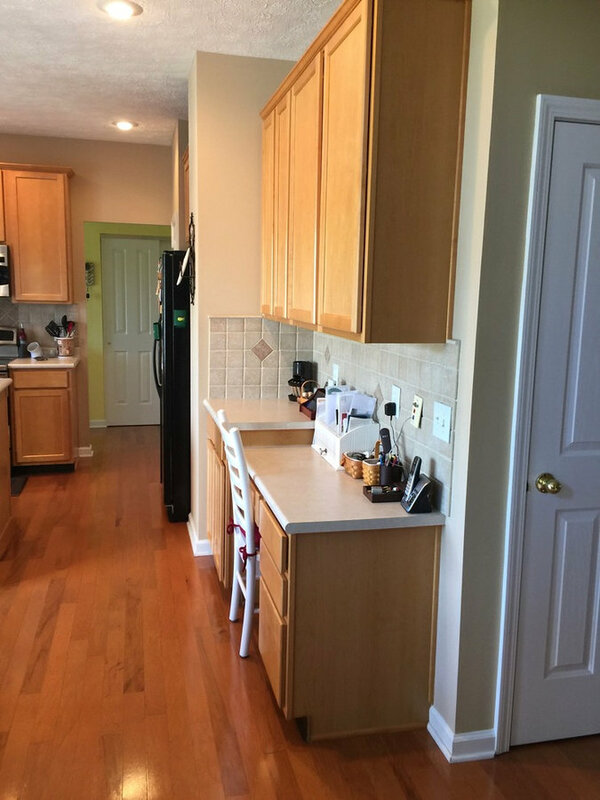 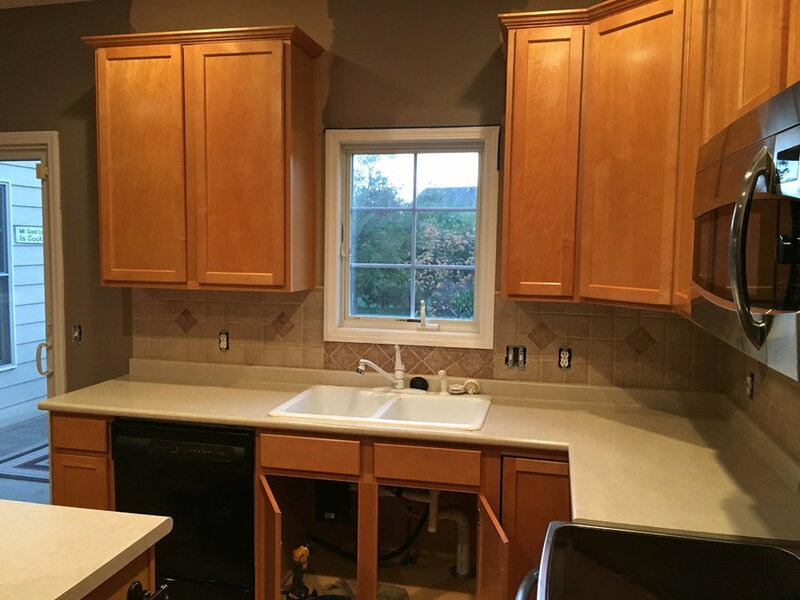 BEFORE/AFTER: This client wanted to brighten up their existing kitchen without getting into major construction. 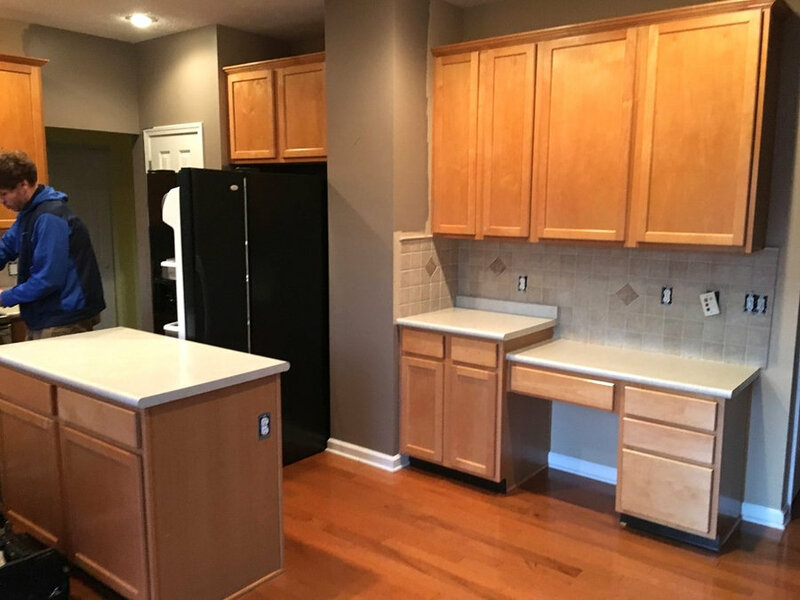 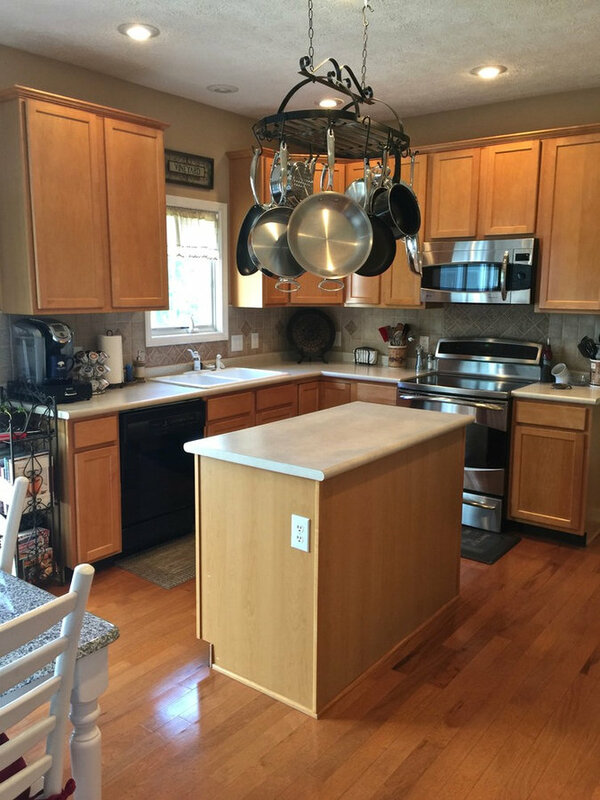 We replaced the cabinetry with a light mushroom color, added a larger island with multiple storage options, and removed the outdated desk area. 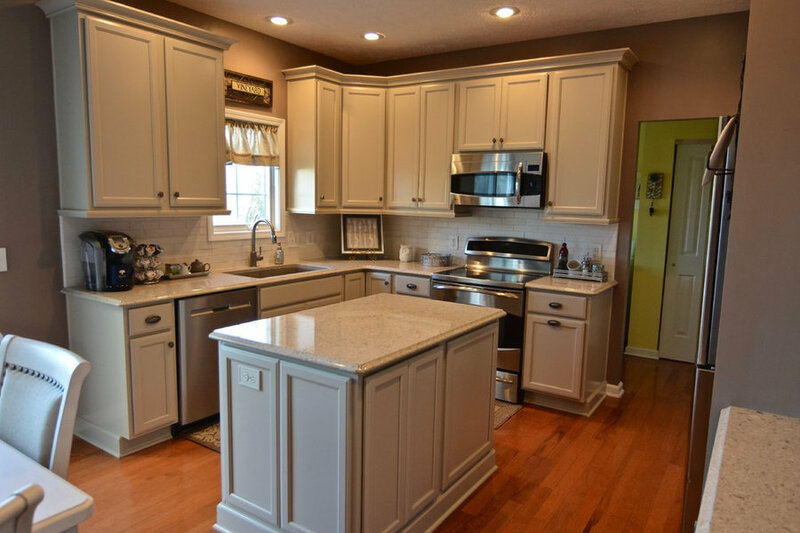 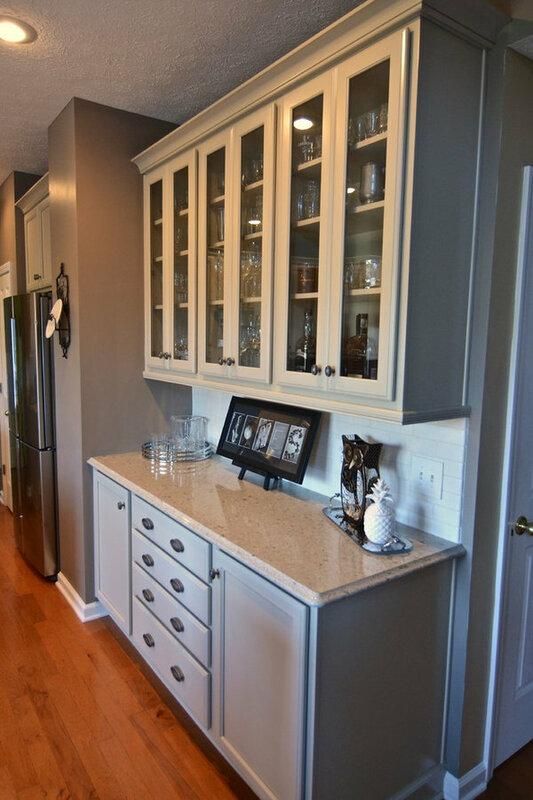 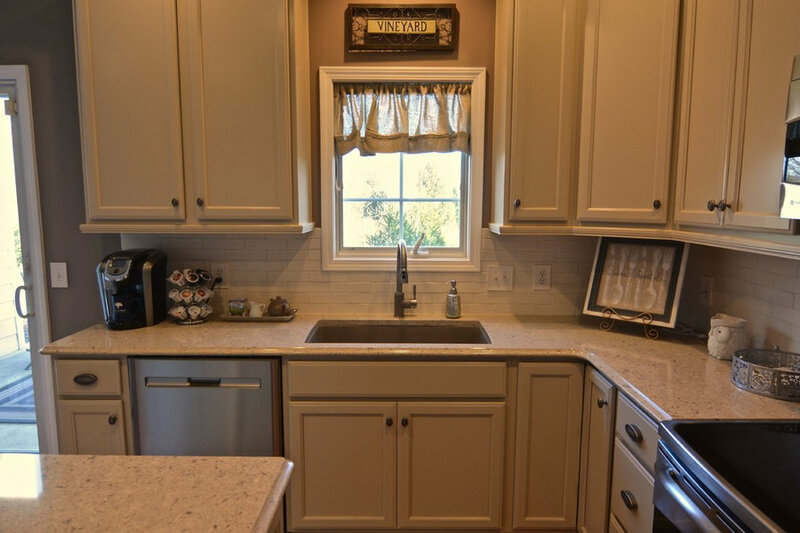 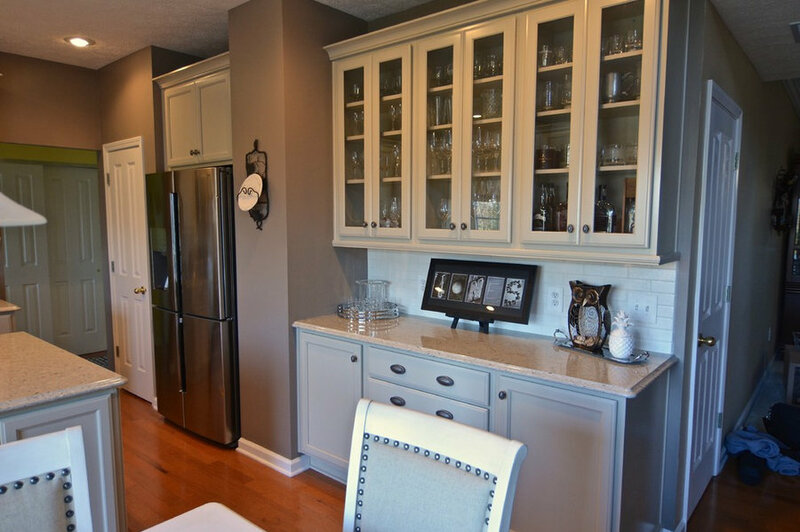 We achieved this inviting look with KraftMaid cabinetry and Cambria quartz countertops. 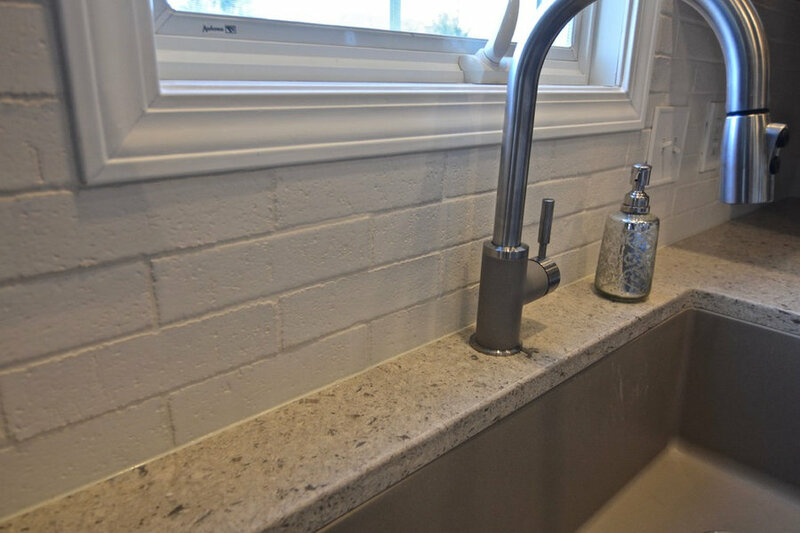 The textured brick backsplash added character to the new look. 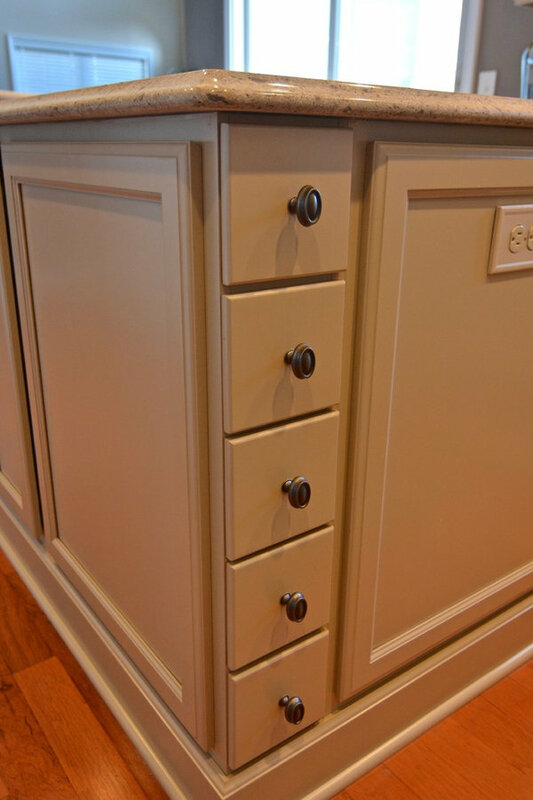 Designed by Victoria Pelly.